Good News across the U.S. The week has been filled with testimony from Michael Cohen about the corruption of Dictator Donald Trump (DDT) and DDT’s failure—and its GOP spin—at the highly vaunted summit with North Korea. Across the United States, however, bits of good news gleam from time to time. Thanks to Maxine Waters (D-CA), chair of the House Financial Services, Deutsche Bank is cooperating in an investigation into DDT’s finances. The House has passed its second gun control bill within two days, this one closing the “Charleston loophole.” A white supremacist was able to kill nine people in the Emanuel African Methodist Episcopal Church because a background check couldn’t be finished within three days. Three Republicans joined Democrats in the vote of 228-198. Before yesterday, the last gun control bill to pass the house was the Brady Handgun Violence Prevention Act 25 years ago. In 2017, over 6,000 guns were sold to people with criminal histories or other factors prevent sales because of the three-day deadline, 50 percent up from 2016. Also in 2017, the three-day deadline kept the FBI from completing 310,232 gun background checks. 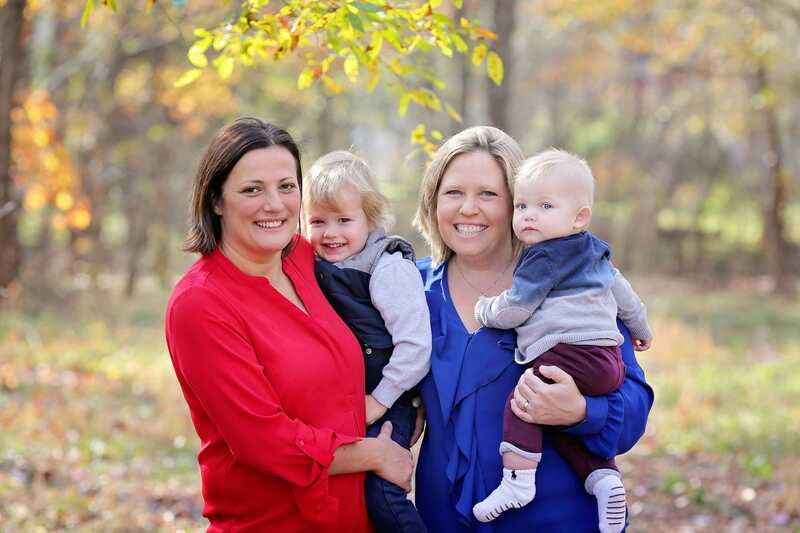 Overturning a State Department decision, a federal judge has ruled that Aiden and Ethan Dvash-Banks, twin boys born to a surrogate mother for a gay couple, have the same rights as U.S. citizens. One egg donor is a U.S. citizen, the other an Israeli, and they married in Canada in 2017. When one father applied for U.S. passports for both boys before moving to the U.S., immigration officials refused to recognize that the U.S. citizen was the legal father of both children and demanded a DNA test for the twins’ citizenship. The U.S. consulate in Toronto provided citizenship for only the one twin biologically related to the U.S. citizen and required him to sponsor the other twin as his “step-son” although he is listed on the birth certificate as the boy’s father. 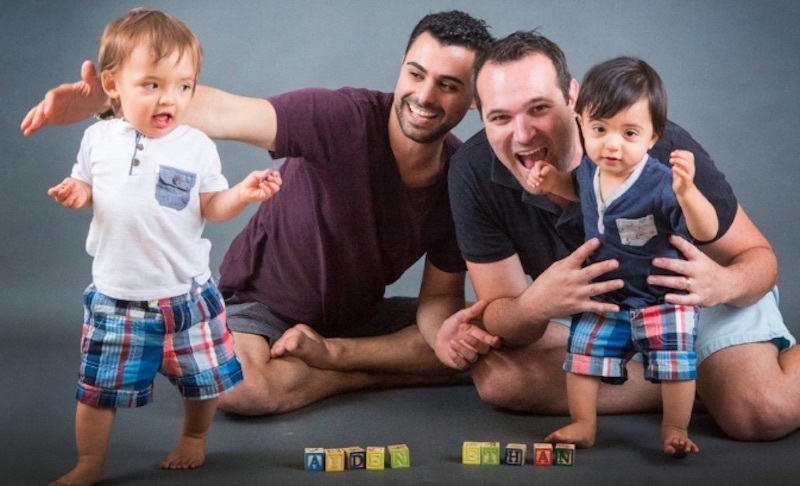 The two men sued for recognition of their marital status, and the judge ruled that federal law “does not require a person born during their parents’ marriage to demonstrate a biological relationship with both of their married parents.” The judge cited two court cases which clearly state the word “parents” is not limited to biological parents,” meaning that the twins will be allowed to stay together and with their married parents. The State Department language on its website, that transferring a parent’s U.S. citizenship to a child born abroad requires “a biological relationship, or blood relationship,” violates the Immigration and Nationality Act that permits children to inherit married parents’ U.S. citizenship if the adult lived in the U.S. for at least five years and meets other requirements. The State Department appears to ignore the legal marriage of same-gender couples. Two weeks ago, 80-year-old Goodloe Sutton, the editor and owner of the 140-year-old Democrat-Reporter in Linden (AL), population 2,123, wrote an editorial asking the Ku Klux Klan to “ride again” into communities of Democrats who consider raising taxes before he advocated lynching for his political opponents in an interview with the Montgomery Adviser. Both Alabama senators called for his resignation, the Alabama Press Association censured him, and the University of Southern Mississippi removed him from its Hall of Fame. Sutton, known for his racist, anti-Semitic, sexist, and homophobic editorials, has now stepped down to be replaced by Elecia R. Dexter, a black woman, as the newspaper’s publisher and editor. In a recent interview, Sutton said the publicity was worth $10 million and that Democratic lawmakers are “terrible” while the KKK is “the nicest.” Dexter has no journalism background and started working at the newspaper two months ago as a clerk. The New York legislature, now controlled by Democrats, may pass a law requiring DDT to release his state income tax returns. The NY TRUTH Act would require all statewide elected officials, including the president and vice president if they file taxes in the state, to publicly release their taxes each year. With a pledge from new Dem Gov J.B. Pritzker to make Illinois the “most progressive state in the nation … for women’s reproductive rights,” state Democratic legislators introduced two measures to expand abortion access, repealing parental notification requirements for minors and restrictions for late pregnancies. The act would also require private insurance in the state to cover abortions like any other reproductive healthcare for women and allow advance-practice nurses to perform abortions. A 1975 law criminalizing doctors who perform abortions would be abolished. Former GOP Gov. Bruce Rauner had signed legislation permitting Medicaid and state health insurance coverage to be used for abortions. The Wisconsin National Guard is reviewing whether Rep. Adam Kinzinger (R-IL) violated the law when he criticized Wisconsin governor, Tony Evers, in tweets and on Fox for withdrawing troops from the southern U.S. border. Hours before Evers issued an executive order for the troops, Zinzinger questioned in a tweet whether the governor’s decision was “based solely on politics.” Federal laws and Wisconsin laws call for “any commissioned officer who uses contemptuous words against the president, the vice-president, members of Congress, the secretary of defense, the secretary of a military department, the secretary of homeland security, or the governor or legislature of the state of Wisconsin” to be punished. Kinzinger has the rank of lieutenant colonel in the Wisconsin Air National Guard; as governor, Evers is his commander-in-chief. A spokeswoman for Kinzinger says that he can say anything he wants when he’s “off-duty,” but a First Amendment law expert disagrees. Thanks to grassroots activists and the state of Illinois, the cost of telephone calls for prisoners has gone from the most inflated in the U.S. to under a penny a minute, the lowest cost in the country, although some costly fees put a 30-minute call at $2. DDT had overturned FCC regulations for prisoners’ telephone prices. Chief Justice John Roberts joined the “liberals” to order a review of the death penalty for an inmate suffering from dementia so severe that he cannot understand why he is being punished. The decision requires a lower court to examine whether Vernon Madison’s strokes and vascular dementia leave him unable to remember his crime and the reason that the state wants to execute him. Earlier the court had ruled that people suffering from schizophrenic and psychotic delusions may not be put to death; in her opinion for the majority, Justice Elena Kagan stated that the same logic applies to dementia. He had been on death row for 33 years. Brett Kavanaugh did not vote because he was not confirmed when the case was argued. May we have more good news.